It looks like Valentine’s Day is going to be a quiet night in for us this year, and I’m 100% OK with that. This is one of those holidays Andrew and I would rather make ourselves dinner and watch a movie with a cocktail than shell out the money for the whole Valentine’s Day shebang. 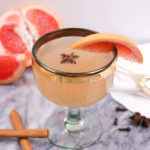 I think I’ll indulge in a drink that is part cocktail and part dessert. 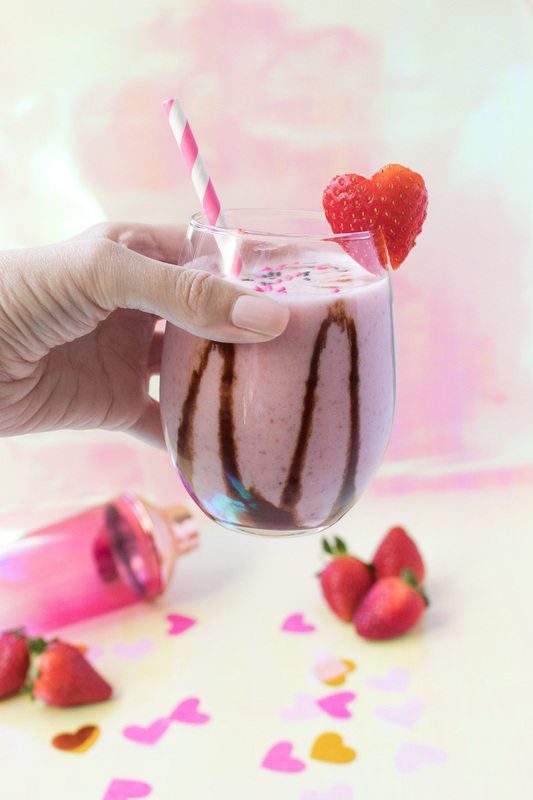 This chocolate covered strawberry cocktail is like a hybrid of a milkshake, cocktail and chocolate covered strawberry, and it is DANGEROUSLY delicious. 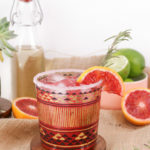 With one of these tasty cocktails in-hand, I’m sure we’ll have no problem enjoying our Valentine’s Day! 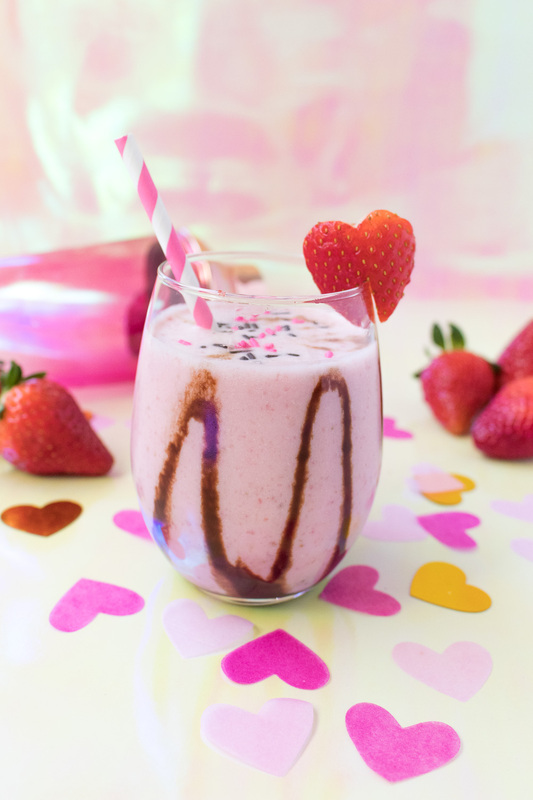 This indulgent chocolate covered strawberry cocktail tastes exactly how it sounds…like a chocolate covered strawberry! 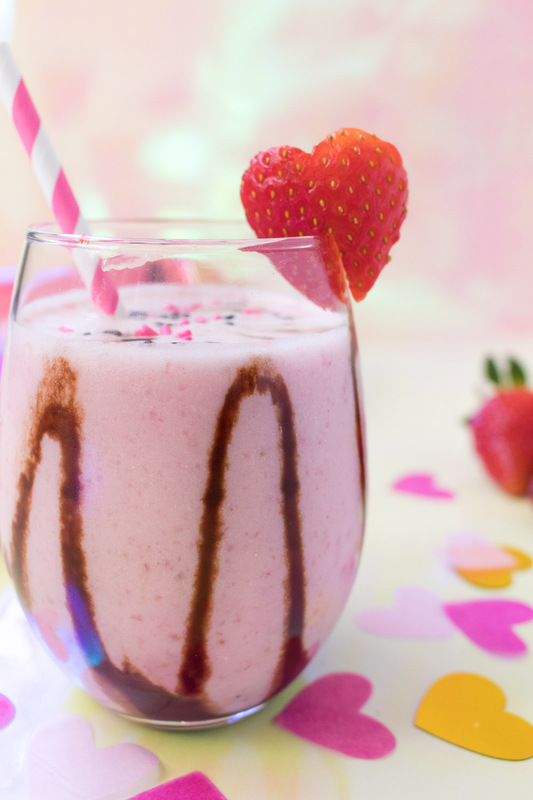 Made with fresh strawberry puree and half & half, it has the deliciousness of a milkshake with a little extra booze. 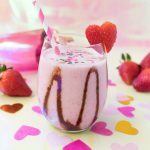 Spiked with strawberry vodka and creme de cocoa for the creamy chocolate flavor, it still maintains it’s chocolate and strawberry flavor. 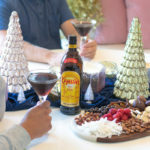 It’s rich and tasty, and the chocolate drizzled glass is the perfect touch and addition to the chocolate flavor. The little strawberry heart on the rim is probably my favorite part. You can carve one with a knife or simply use a mini cookie cutter to cut one from an extra-large strawberry. It’s not exactly strawberry season, so you can also substitute frozen strawberries if it’s easier and more cost effective. I’m sure it will taste equally delicious! 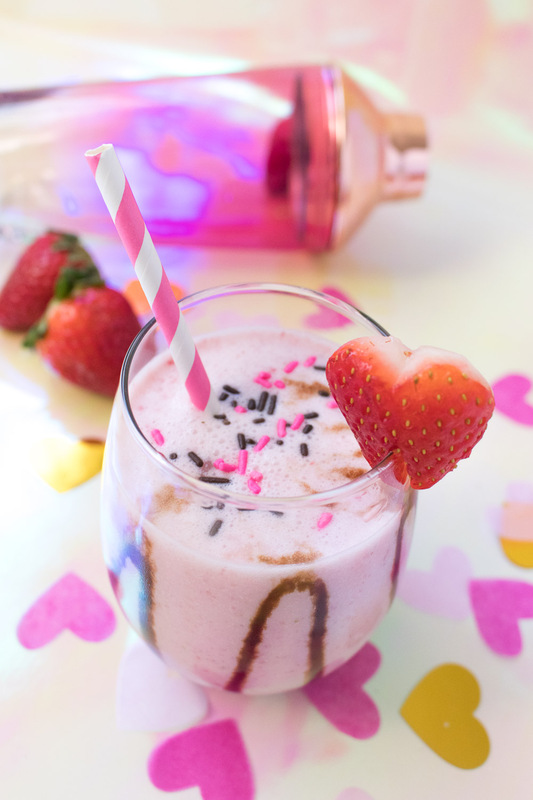 I would drink this all year, regardless of Valentine’s Day! Who’s with me?! 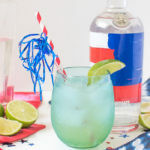 Shake and strain into the prepared glass. 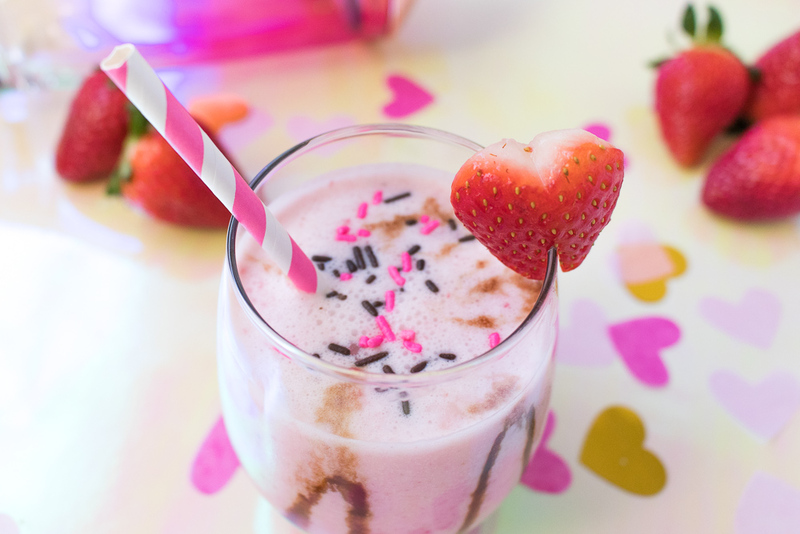 Add a strawberry heart to the rim if desired.